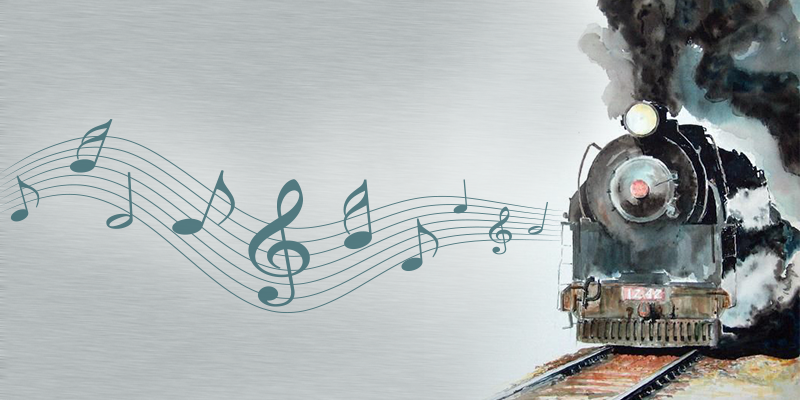 Bollywood and trains have a special connection, so much so that train songs have become an inseparable part of Hindi cinema. Let’s re-kindle that ‘khatta-meetha’ love in travelling & have a look at some beautiful songs that have been romanticising our evergreen train journeys. Long before December 1999, when the UNESCO conferred the World Heritage site status to the Darjeeling Himalayan Railway, the ‘toy train’ had enjoyed its four minutes of fame in the love anthem called ‘mere sapno ki rani kab aayegi tu’. Reviving the image of the singing superhero wooing his lady love with the ‘toy train’ chugging alongside, this melody topped the charts then, and even now. The hurry to go somewhere, the feeling of beginning that journey – this Bunty Aur Babli track fuses heartbeats and train beats into one. Lyrics written by Gulzar, this song made us relive that excitement of while we begin a journey. Saif Ali Khan is strumming the guitar and a group of children start singing a chorus. Shot onboard a toy train in Darjeeling, we are treated to a grand feast of nature. The toy train snaking upwards, taking sharp curves, is also a delight to the eyes. You might have fantasised meeting a stranger in a train and a ‘cute little love story’ following that, once in your lifetime. If yes, then you could very well relate to this song shot on train from the movie Burning Train. Rishi Kapoor’s magical acting adds to the charm of this song. The whistling of steam engine takes us into a different world and the train forms a perfect backdrop for the Padmini Kolhapuri and Rishi Kapoor’s romance! Not on a train but about a train, this was probably India’s 1st rap song that had Ashok Kumar singing about trains and life. What a breathless song for a breathless train journey! This is one of those train songs that most significantly defines the romance of locomotive. The viewer sees the train passing through some scenic locales as Dharmendra displays a range of emotions. In this song from Dost, train is a metaphor for life and for the never-die spirit. Sung by Kishore Kumar, the song is slow and melodious. The film had Dharmendra in a lead role. This song represented a journey of a free-spirited India, a journey of massive transformation. The pulse of our country, Indian Railways, was chosen as a medium to begin a journey which showcased various aspects and glories of our country. For most of the 1950’s and 60’s, trains served as a place of romance and had jolly vibes which were best showcased in this popular peppy song “Hai apna dil to awaara…”Dev Anand as a footloose journalist sings in some free spirits, while there is Waheeda Rehman and many other passengers secretly enjoying his company and melodies. Giving us some really peppy melodies, Rishi Kapoor completely rocked in this train song. The actor entertains the passengers as a part of some auditions for a music group. The fun and open-heartedness while being on a train journey, could be easily felt. Interestingly, for filmmakers trains always came as a rescue whenever they wanted to showcase romance, naughtiness or plain emotions. So, which is your favourite train song? Comment below. Thank you very much for your motivating words. Stay connected with us for more such interesting pieces of content. Thank you for your appreciation. Keep reading our blogs for more of such important updates. Mere Sapno Ki Raani Kab Aaegi Tu is one of my favourite old song. Brilliant man, they are some really nice songs. Getting this on railyatri is quite awesome. Heyy i like your blog as it gave me a perfect list for my train journey from delhi to jammu with my friends . Am glad i came across your blog .